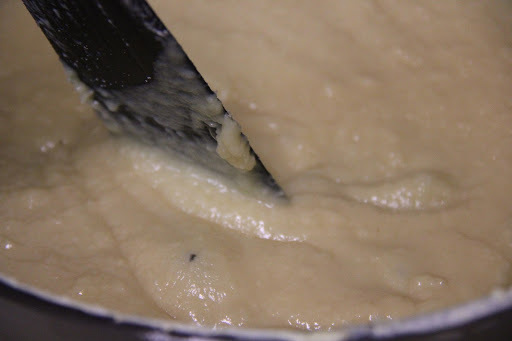 This recipe is a pure milk fudge recipe.It originated from the town of Rajhamundry in Andhra Pradesh.This is a time taking recipe and needs patience. 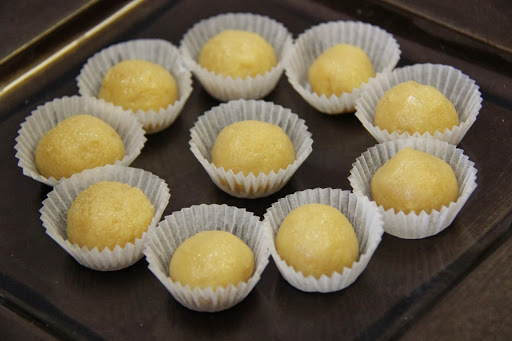 I’m also giving an alternative for those who do not have so much patience to make kova from scratch.But,trust me fresh made kova is so divine. 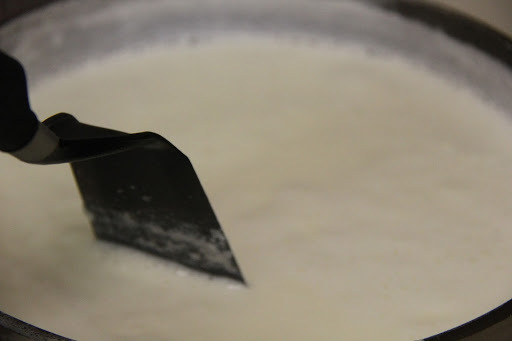 2.Now turn the flame to high and keep stirring ,scrape the sides and keep adding to the boiling milk. 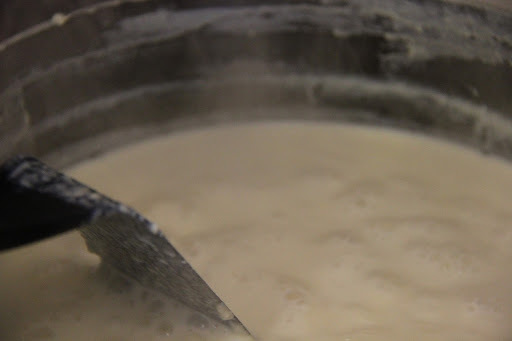 3.After around 30 minutes the milk will reduce by half and come together in a thick creamy consistency. Keep stirring until it loses some more moisture(at any point if you think your milk is getting browned feel free to turn down the flame to medium). 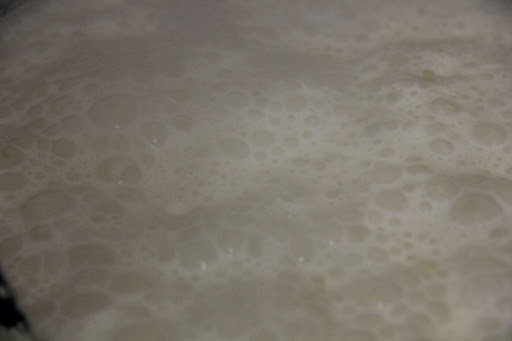 4.After 20 more minutes the milk will lose most of the moisture and will become thick. Turn heat to medium-low and add sugar as per your taste At this stage add sugar. 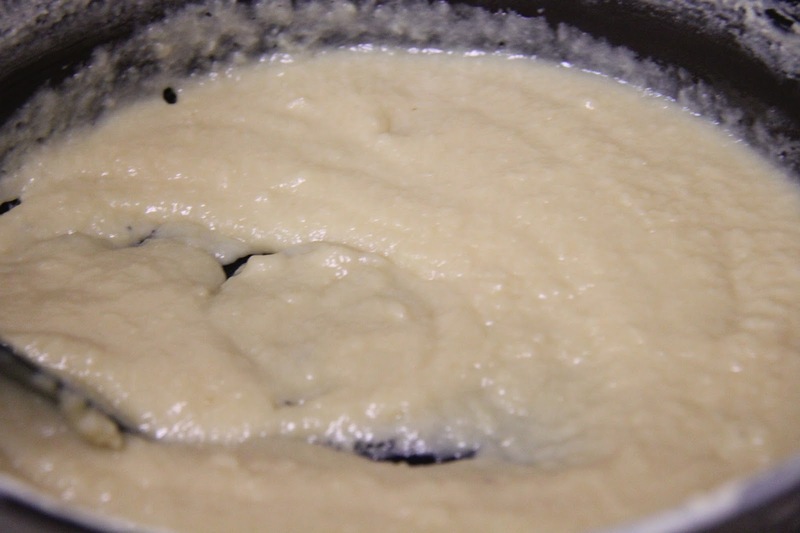 5.The mixture will start bubbling. Once the bubbles disappear that is when the kova is ready. 6.Refrigerate the kova for about half an hour. Take some ghee on your palm and roll the kova into roundels.Then gently press in centre to make a Peda. 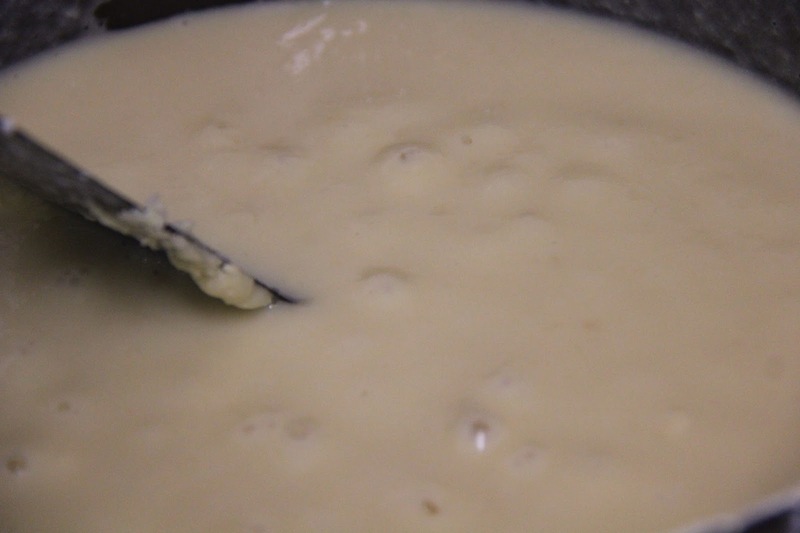 1.Melt butter in a pan,add milk powder and condensed milk and keep stirring until it forms a thick mixture. Use a big broad pan, preferably nonstick for this preparation so that the milk doesn’t burn or spill but yet gets done quicker. 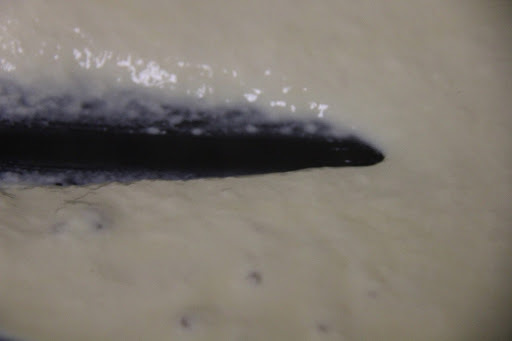 Use full fat milk for this preparation to get the creamy deliciousness of kova. 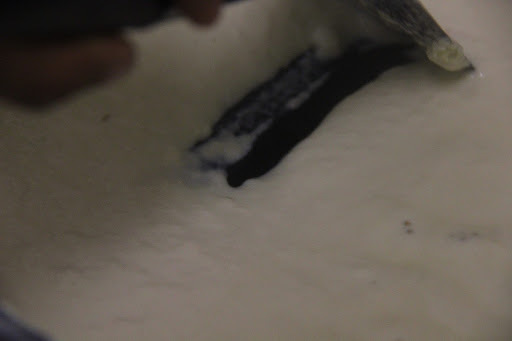 This has to be stirred continuously, leaving it even for a minute can make your milk stick to the pan and get the burnt residue and taste into the kova and a kova that is brown in color. You can make any variation of this sweet,for example,add toasted fresh coconut in the end to make coconut kova,add cocoa powder for chocolate kova,blueberry puree or strawberry puree for fruit kova.Or vanilla flavoring or almond extract for other flavors.If adding liquids for flavor add them in step 4.